On request I made a pinata with my young boys. 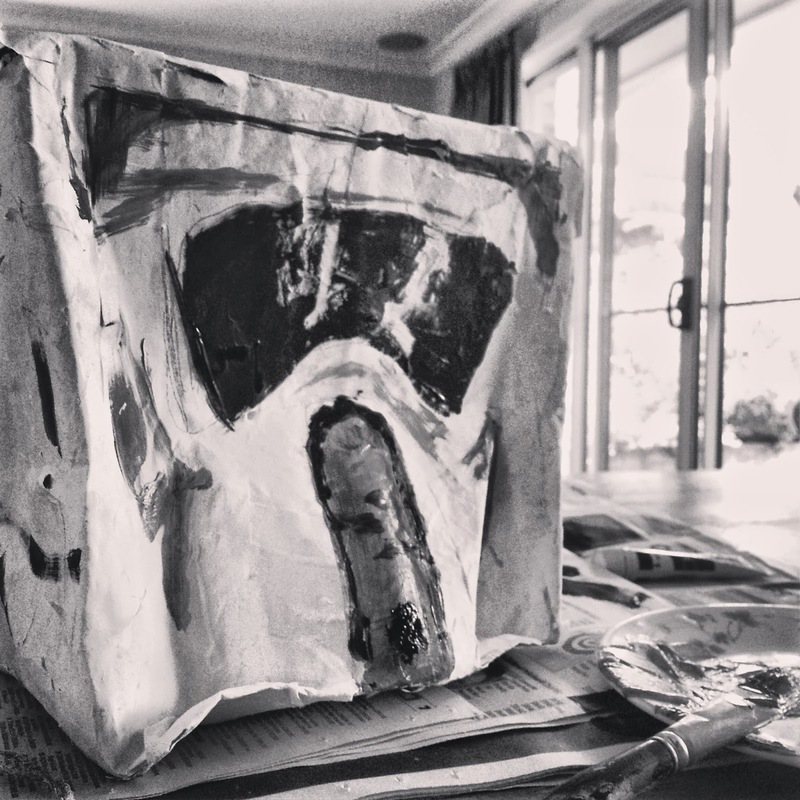 I found a soft cardboard box that apparently looked a lot like a "biker trooper" (yes, Mr. 7 has a very clear on his Star Wars facts), luckily he is very encouraging on my attempts to recreate his vision, in this case through papermache, and some paint! 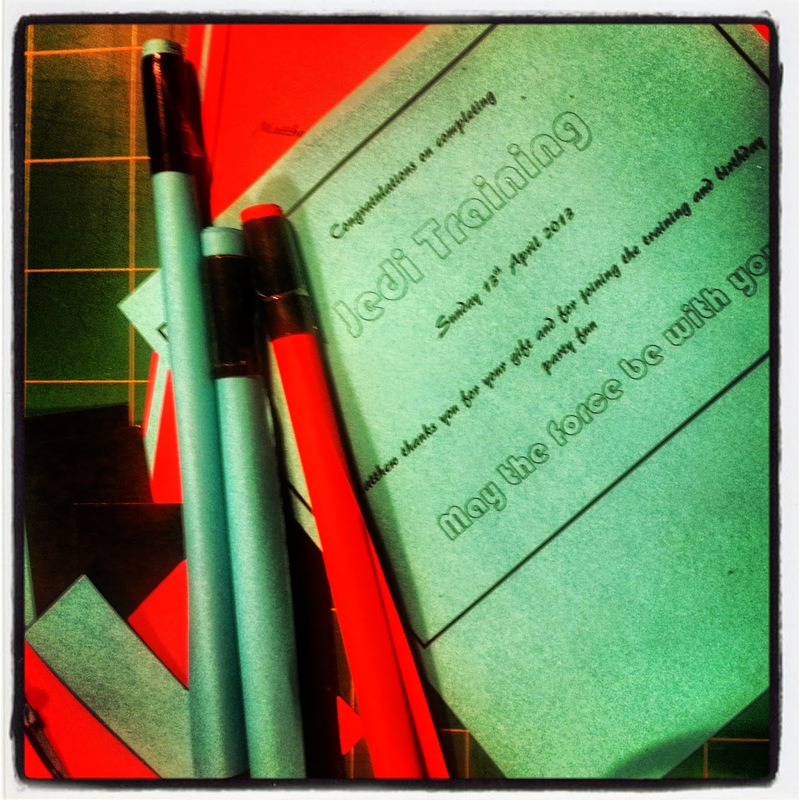 As part of our preparations, I made certificates that were also thank you notes, I rolled these into scrolls and held them in place with black paper cuffs so that they looked like mini lightsabers. 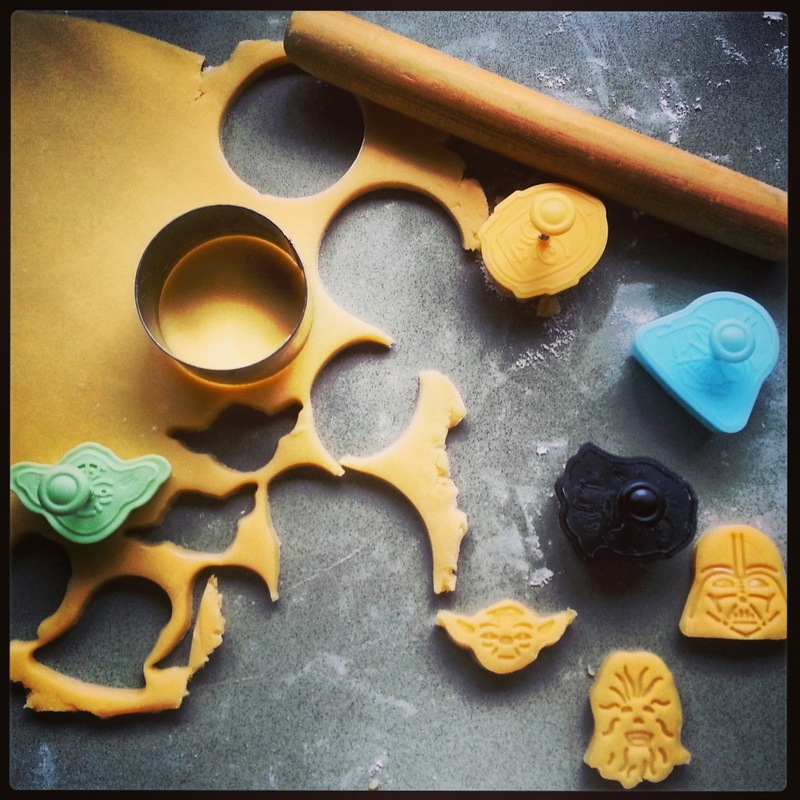 These then went in the children's party/loot bags to take home. 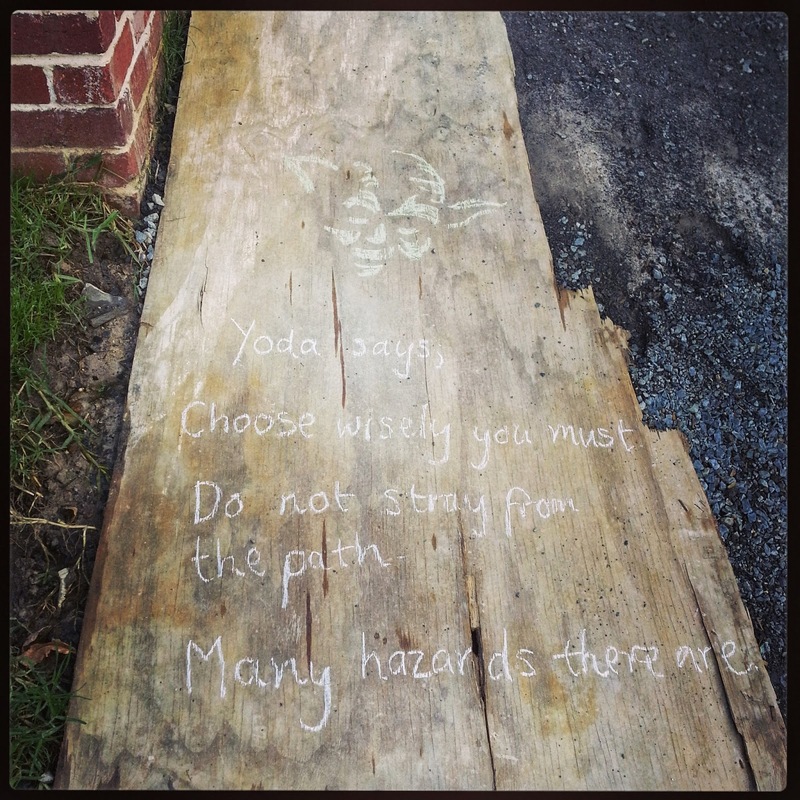 As this party had young Jedi in training (Younglings, I think is the right name! ), I thought I would make uniforms for all the children to help them get into the spirit of the day. I made these out of 90cm (2ft) wide calico, simply cut into lengths (also about 90cm long), with a triangle shaped head hole cut out and a sash cut down one of the selvedge (about 10cm/ 4in wide). 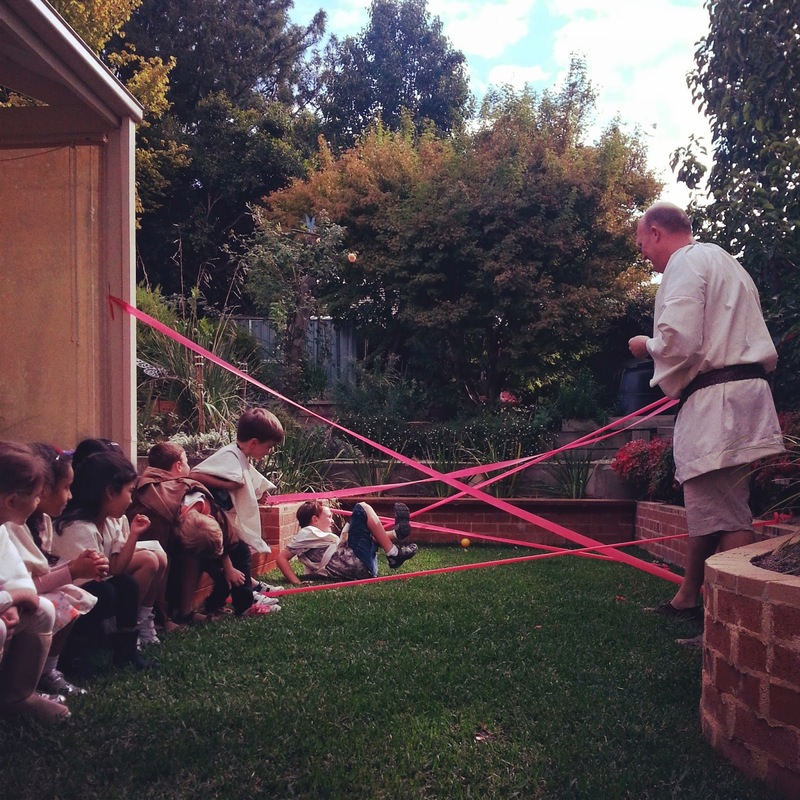 We started with a Laser Maze, where the children had to "use the force" to safely take turns to make their way past the laser beams (made of crepe paper streamers), collect the ball at the end and make their way back. Next we had our version of "pin the tail on the donkey", I drew a picture of General Grievous on a big piece of paper and the children then took turns, while blind folded, to pin a paper lightsaber near one of his hands. 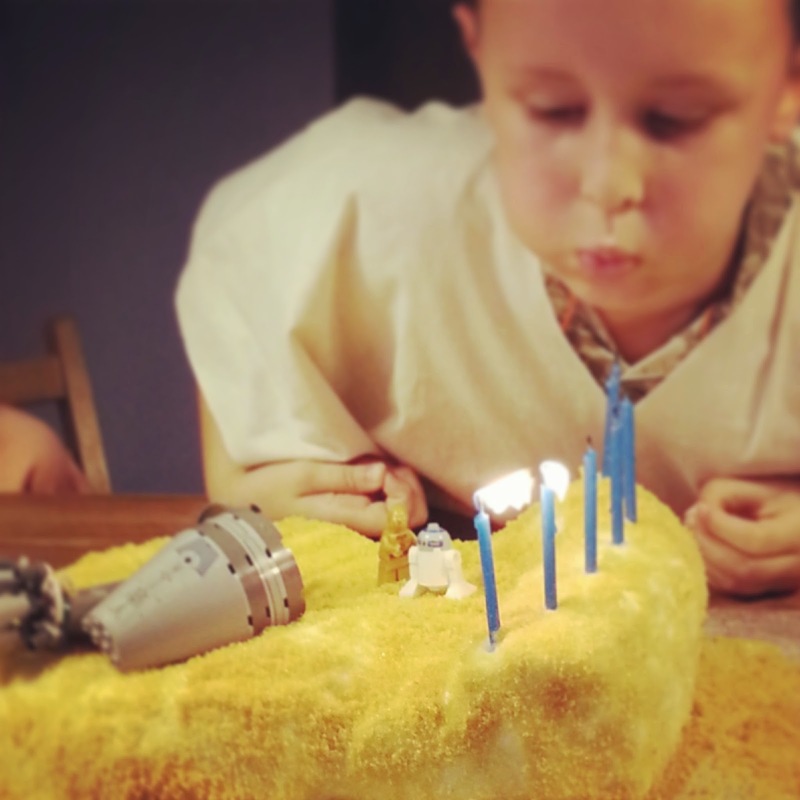 After this we moved on to "Pass the Planet" using a Lego star wars planet, When the music stopped, the child got to pick a lucky number from inside the planet and a prize from the selection we had. The lucky numbers were to decide the order that the children were to have a go at the pinata. (Birthday boy got to go first, regardless of the number he chose). Following the pinata, the children then were each given a pool noodle lightsaber and a balloon, and practiced using the force to keep their balloon off the ground until it was time for party food and the birthday cake.